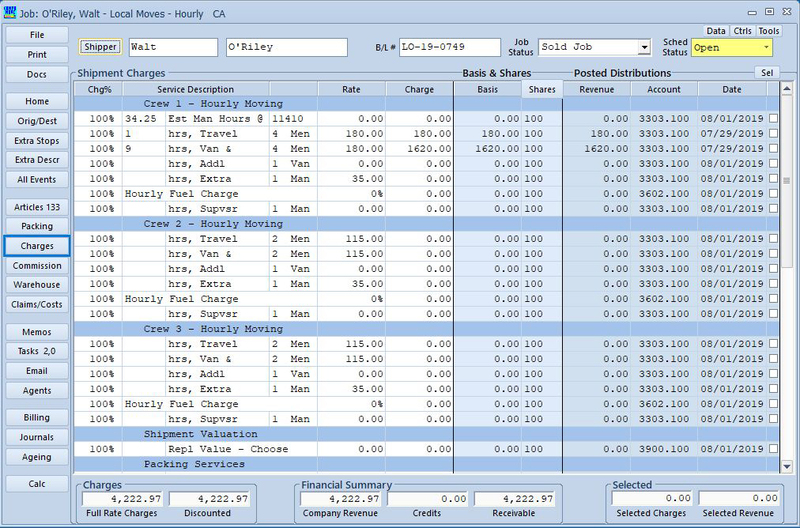 These job screens and forms are for an hourly local move. Many different local move tariffs exists: this example includes travel and van & men charges. Your local move screens on your custom CompuMove setup will match your current rating system. The address capscreens ture all necessary location and contact information, and includes links to internet mapping, both for individual locations and trip maps and directions. Prior to the move, local move paperwork is printed with names, addresses and rates, ready to hand to your drivers and packers. 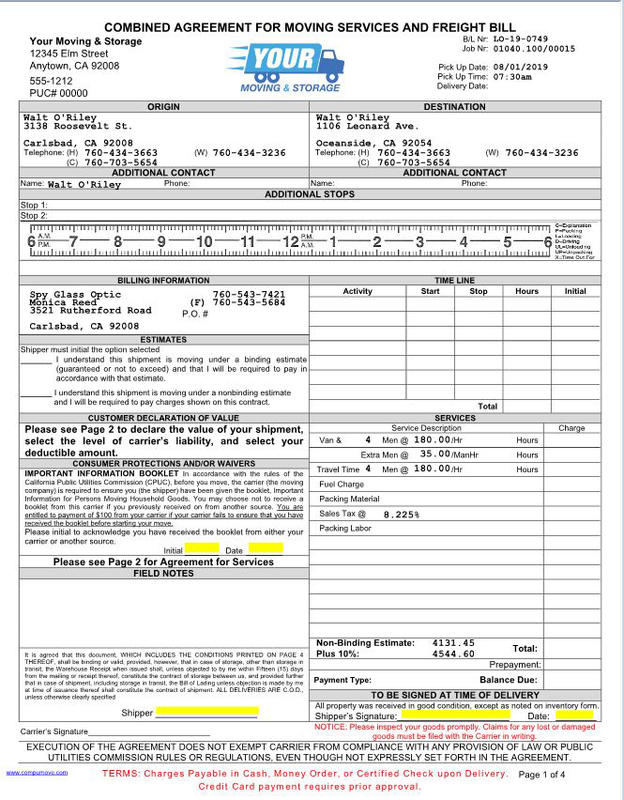 Plus, CompuMove’s form printing ability works with all of your current move paperwork; no special “”computer”” forms are needed. 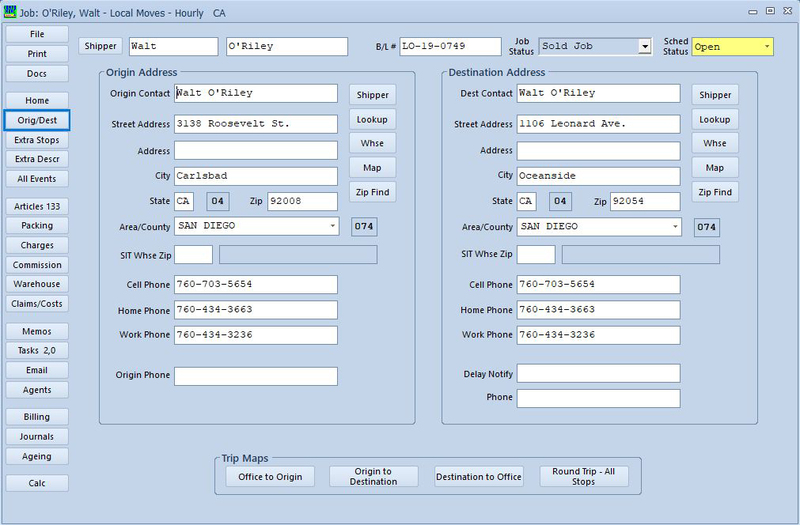 In addition to traditional multi-part paper forms, CompuMove can generate completed shipment paperwork on blank paper, and/or save those forms as a PDF to share by email.